Gotta love Asian restaurant names... I found this place on Yelp after a long day of building Ikea furniture (specifically this, in case you were wondering). Although all I really did was supervise, watching others do manual labor manages to make me feel productive and exhausted. Therefore I felt like we all deserved a great meal. Roti Canai (crispy Indian pancake) with chicken curry sauce $2.75. So fresh! When I tore off a piece of the roti it was still moist inside. Singapore Laksa $6.50. I miss the shopping mall food courts in Singapore so much. I'm glad I finally found a place in New York to fulfill laksa cravings, though. This wasn't as spicy as it looks and was so flavorful. Hainan Chicken (1/4 order) $5.25, Chicken Flavored Rice $1.50. Such a delicious meal! 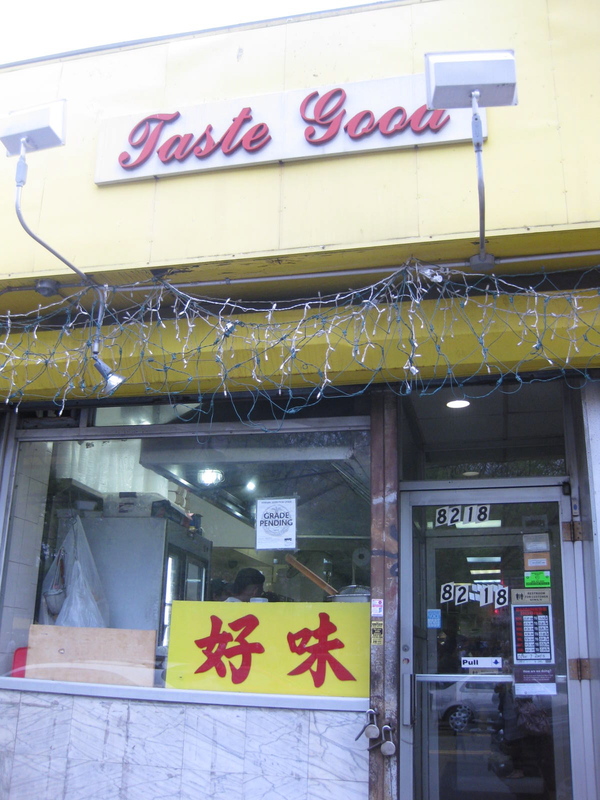 Also, it's conveniently located right next to Hong Kong Supermarket and the E,M,R trains.